Islington Council offers free Bikeability courses or cycle skills sessions to all residents, employees and students within the borough. Bikeability is the Government-recognised national standard for cycle safety, aiming to improve cycle skills for all. Our cycle training is delivered by qualified instructors and there are a range of courses on offer to suit all ages and abilities. 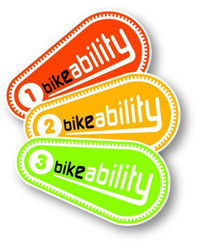 To find out more about our Bikeability and cycle skills sessions and make a booking, please select your course from the grey panel or the drop down menu.